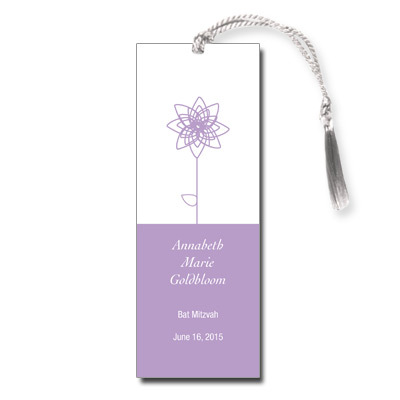 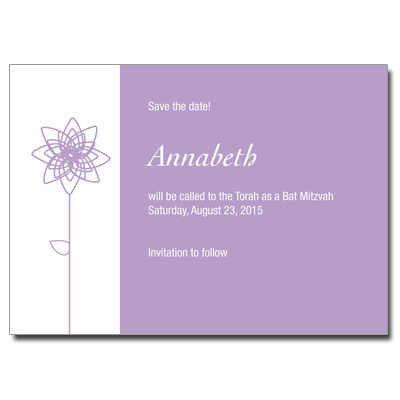 Whimsical and modern, this lavender Bat Mitzvah invitation is sure to impress your guests. 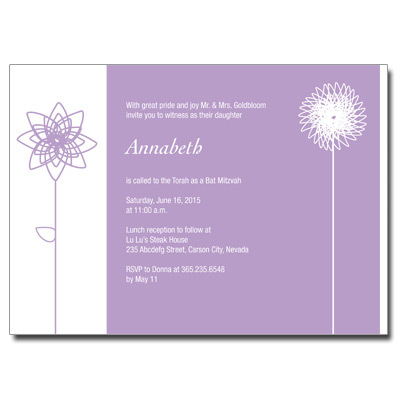 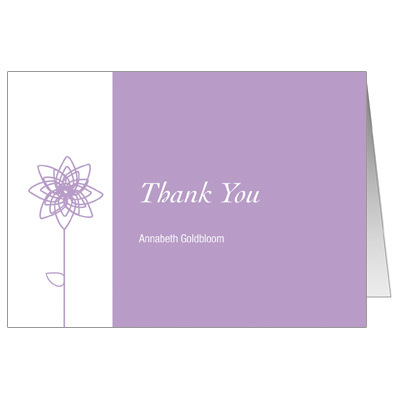 Two outlined blooms border the card on either side of your event information. Card measures 7x5.